Inside the century-old private records of the Waldorf Astoria’s detectives. As the Waldorf Astoria transforms into posh condos, there’s one luxury amenity it’s unlikely to get back: its intrepid in-house sleuths. The Waldorf Astoria in 1911. 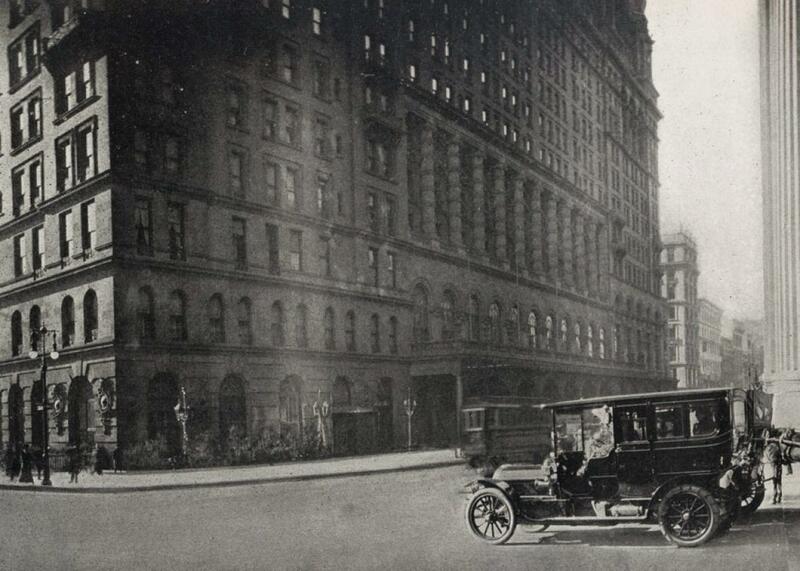 It was 1893 when the grandest of New York hotels first opened its doors. The Waldorf, later connected to the adjacent Astoria building to become the Waldorf Astoria, was the first of New York’s hotels to have electricity throughout and to offer all guests private bathrooms. Expensive and opulent, its dining rooms and ballrooms soon became regular venues for New York’s upper crust. Nikola Tesla lived there, political parties held events there, and NBC made its first broadcast from the hotel, in 1926. The original Waldorf shut its doors in 1929, to make way for the Empire State Building. But the art deco jewel that succeeded it, between Park Avenue and Lexington some blocks uptown, has carried the banner high since its completion in 1931. Now it’s undergoing change once again: The Chinese company that bought the hotel in 2014 closed it this winter for a three-year renovation, which will reportedly convert many of its hotel rooms to condominiums. As luxurious a home as the new Waldorf Astoria will be, however, there is one amenity from its golden early days that it almost certainly will lack. That is a set of in-house detectives. The records of those detectives, which can be seen today in the hotel’s papers at the New York Public Library, show an almost unimaginable level of kid-glove service and provide a tantalizing window into the high-end hotel life of a century ago. In the first half of the 20th century, many hotel guests stayed long term—sometimes, they were even permanent residents. Part of the reason was the slow speed of travel: Before the arrival of the jet age, there was no way for someone from St. Louis to come to New York for a meeting and go home the same day. Having spent days (or weeks, in the case of international travelers) to get to the city, people stayed longer. The Waldorf contained a whole world of shops and restaurants, so that the hotel’s guests didn’t even need to leave the building to have everything they needed. In common with other posh hotels and department stores, the Waldorf Astoria had its own detectives, who diligently recorded their activities in what was known as the “Black Book.” The New York Times often reported on their exploits, in breathless prose that underscored the detectives’ heroism. “Saved From Confidence Men,” blared a headline in August 1901, in a story that went on to relate the tale of a “Venerable Westerner” (i.e., a visitor from Colorado) chatted up by scam artists in the hotel lounge—until the hotel detectives wisely intervened. According to the report, Detective Joe Smith recognized the con man, having seen him at work in London. Smith, a longtime Waldorf detective who had started his career in the London police force, was of sufficient celebrity to be the subject of a biography in 1929, called Crooks of the Waldorf. That Black Book is today in the New York Public Library’s Waldorf collection. This ongoing report of all the hotel detectives’ cases lived in their office, and the men on each shift would record whatever had happened, no matter how trivial. “Found a large dog on the 5th floor,” one entry reads. Some of the work of the detectives was to handle simple absent-mindedness. Many reports in the book, which starts in 1902, relate to scarves, bags, and jewelry left by guests in the lounge or dining room—and, to a remarkable extent, restored to them. A Times story from 1912 reports that Mrs. Hiram Johnson, wife of the vice-presidential candidate, dropped a diamond brooch in the elevator. It was found and returned three hours later. A reception in the Octagon Room of the Waldorf Astoria hotel, 1893. At the same time, the Waldorf’s wealthy clientele was a magnet for would-be thieves and scammers, and giving the bum’s rush to “known bunco and confidence men,” as the book put it, was a large element of the hotel detectives’ work. The detectives recognized repeat offenders, and they took note of the descriptions of newcomers. Some of the scams took creative forms. In one case, detectives stopped a man from “using stationery in the red room.” He had been writing letters responding to ads for employment. Claiming residence at the Waldorf would have been useful for someone looking for work—and a scam not too hard to pull off, since hotels tended to accept mail even for nonguests. The detectives’ role in the hotel was not just to protect guests—it was to keep them in line as well. As the book notes, they would eject a guest for such a moral infraction as “having a woman in his room.” Another entry notes the salacious tale of a married woman, arriving at the hotel ahead of her husband, who was caught with the teenage son of another guest. Given the high social profile of many of the Waldorf’s guests, managers saw it as vital to protect the establishment’s reputation. The world described in the Black Book, with its refined service and watchful eye, is long gone today. Even at five-star hotels, we pay for privacy rather than protection of our morals, and we’re lucky if we can persuade the staff to find and return our misplaced belongings. But at the Waldorf, as seen in the records we’ve saved, it was once very different.